With Readly you can read The Whisky Report (Inga nya utgåvor) and thousands of other magazines on your tablet and smartphone. Get access to all with just one subscription. New releases and back issues – all included. The Whisky Report is produced by Whisky & Bourbon – Scandinavia's leading whisky magazine. The magazine’s Chief Test Coordinator Henrik Aflodal is the prime contributor to The Whisky Report. Mr Aflodal is Scandinavia’s leading expert with 30 years’ experience of whisky. ONE THOUSAND WHISKIES. That’s how many drams we will have in our first year. All’s blind, of course. For us it’s all about taste, no fancy label shall mislead our honest opinion of every single whisky. 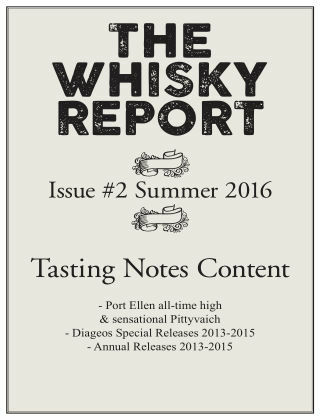 Whisky & Bourbon Magazine is fiercely independent, we never second-guess a given score. Good stuff deserves attention despite its origins, either it comes from one of the big guys or an independent bottler you’ve never heard of. We will never sample everything, no one can, the global whisky scene is changing too fast. But we will be there when it happens. We’re not print, our strength is that the Report is a digital publication. When a new whisky launches and enters the shops you can read about it on Whisky-Report.com. In short, our reviews are based on whisky sold right now. And the samples come directly from the distilleries. You’ll get this digital PDF report four times a year. In between we do special minority reports (whenever we got material that needs quick attention). As an open-handed service to our subscribers we will collect all material once a year and do a lavish “bible”, a printed yearbook looking back to all that’s passed. Accuracy is vital to us. We take our research into every whisky serious. Info on cask and age variation comes directly from the source. We even check market availability and recommended price for you. Along with our reviews you should have all the necessary info to make a sound buying-decision. 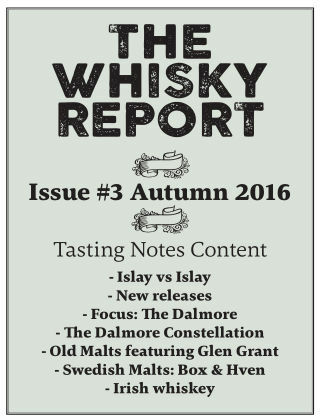 Apart from the news section in each issue we look at various themes and often focus on a select distillery. And when it’s relevant, we look back and compare fresh editions with predecessors to demonstrate development/evolution in character.